Welcome to the Pond Nets & Netting superstore! If you are a pond hobbyist, you know how difficult it can be to "capture" fish for treatment, quarantine, or simply to switch move during cleaning or water changes. Using a pond fish net from one of our industry leading brands will ensure that you can catch your fish easily, transfer them safely, and completely enjoy the beauty of your pond. 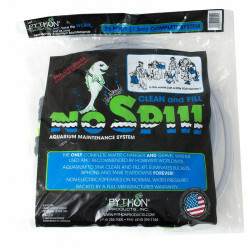 Pet Mountain is dedicated to looking out for the needs of the pond hobbyist, and that includes providing the widest selection of fish nets for every conceivable application. Our Pond Net store features nets of every shape and size. 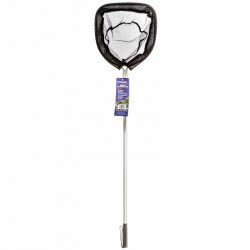 Long-handled nets make maintaining large, deep ponds simple, without getting your hand wet. Whether you need a hand dealing with fish, moving plants or removing sludge and debris, we've got it right here. Pet Mountain's Pond Nets & Netting store features top quality products from some of the most trusted names in pond maintenance and cleaning, including Tetra Pond, Pondmaster, and Beckett. 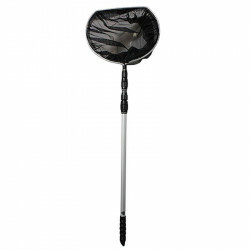 The Tetra Pond Telescoping Pond Net is an all purpose pond net. Use to retrieve fish or remove leaves & debris. 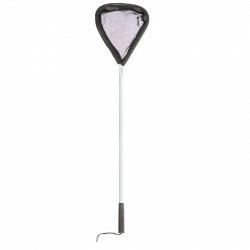 14" diameter net x 16" deep net with telescoping handle that extends from 4'. to 6' 4". Hexagonal construction makes the shaft very sturdy, even at full extension. 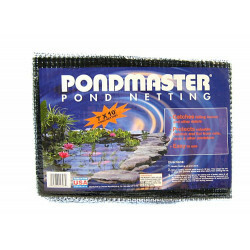 Pondmaster Pond Netting protects your pond from predators, debris or falling leaves. This netting floats on the surface of the pond, providing extra stability and preventing it from drooping or sinking. Pond netting will help keep your pond clean from falling items such as sticks, leaves and other large debris. 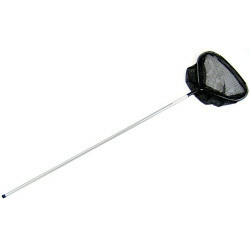 The Beckett Pond Fish Net has a soft, protective frame cover. 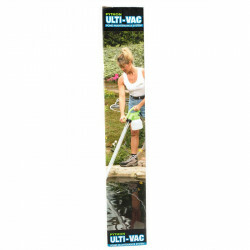 With a 41" long aluminum handle, this net is safe for cleaning and maintaining a beautiful pond or water garden.